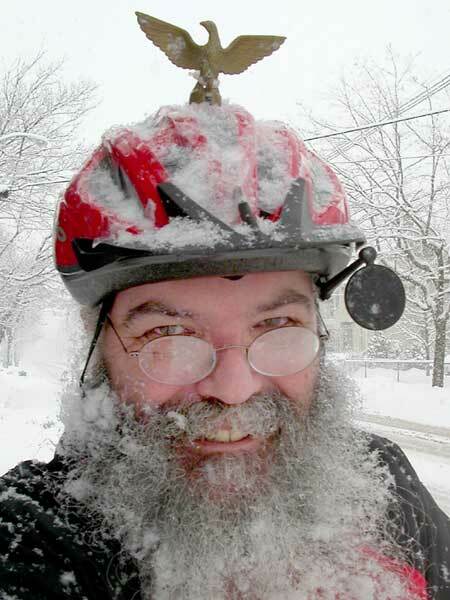 It's officially spring, and with the fine weather my thoughts naturally turned to bicycling. Now that we're on British Summer Time the evenings are light enough so that I can pick the kids up from childminder on the tandem. Hooray! I've also been faunching after a new 'solo' bicycle as my trusty Ridgeback is getting a bit long in the tooth. In an uncharacteristic display of decisiveness I went off to try this bike on Thursday, and duly cycled it home on Friday. At some time I must blog my favourite online cycling resources. For the moment I will draw attention to articles by Sheldon Brown. Amiable, eccentric and invaluable.